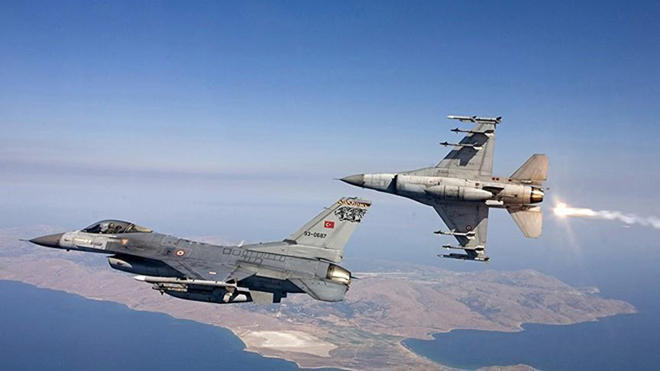 The Turkish Air Force conducted another operation in Iraq's north against the PKK, Azvision.az reports referring to the General Staff of Turkey. According to the General Staff, the operation in Iraq's north was carried out under the code name "Pençe" (Paw). Strongholds of the terrorists were destroyed during the operation, the General Staff said. The Turkish National Intelligence Organization and the country's Air Force have recently conducted an operation to eliminate Riza Altun, the closest ally of Cemil Bayik, the leader of the Kurdistan Workers’ Party (PKK) terrorist group. After Altun’s location was revealed, the Turkish Air Force delivered a precision strike on a house where the terrorist was.